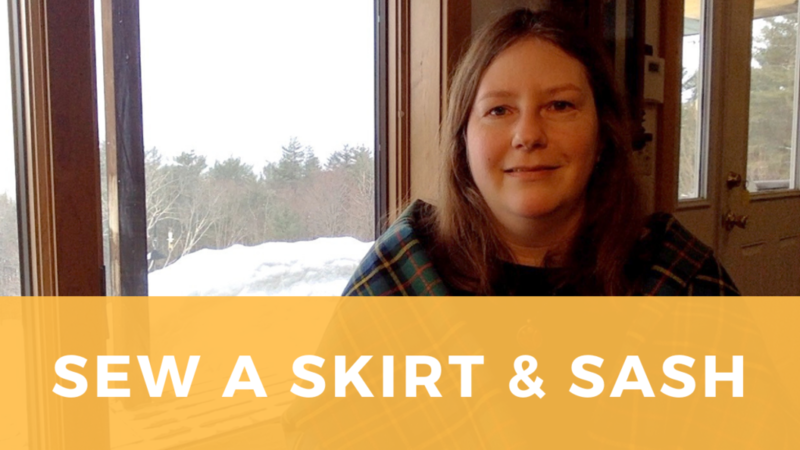 If you’ve been reading the blog or following on our YouTube channel for a while, you’ll know that I don’t talk about sewing much. That’s because I don’t sew much, or at least haven’t in a long time. This year I’m hoping that will change. I believe everyone should know how to sew their own clothes, and I want to improve my sewing skills so that it’s a more fun and less arduous activity for me personally. This first project was inspired by the many Burns Night Suppers we’ve had at our friends’ house over the years. I do have some Scottish ancestry and had always wanted a bit of tartan in my wardrobe. So after years of procrastinating it was finally time, and I managed to make a skirt and matching stole/sash without any pattern. As with any maker of the modern era, I leaned heavily on video tutorials to help me with different steps in this project. Below are the specific tutorials I found most helpful. If you have suggestions for any other sewing-related tutorials or resources, please leave them in the comments! 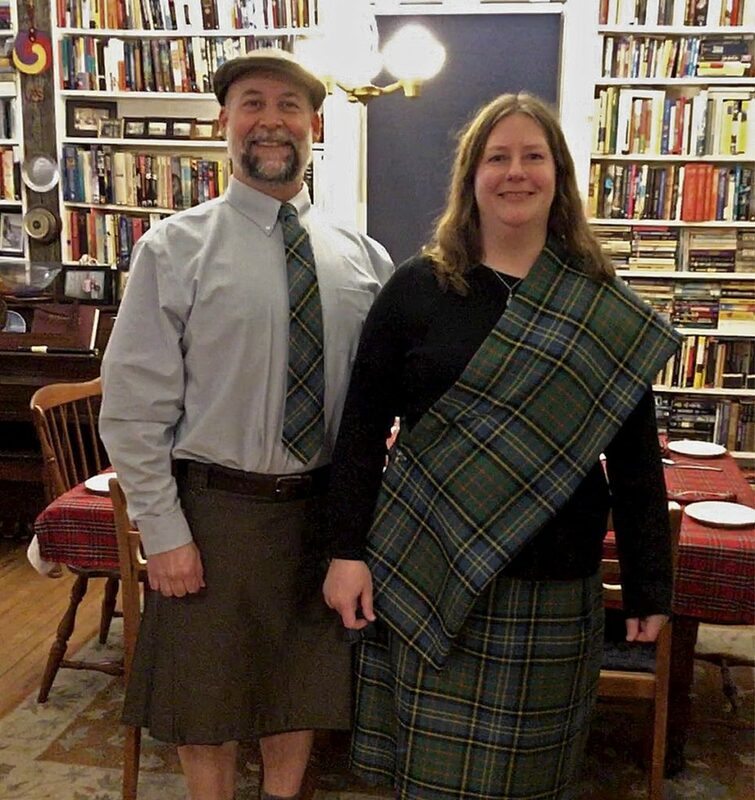 Rick and I in our matching tartan. Photo by our friend Eve.